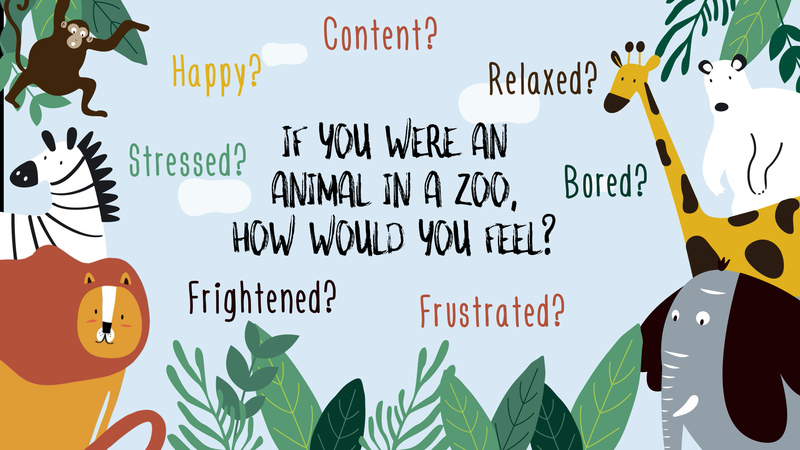 An animal welfare charity has released a short animated film to raise awareness for animals in zoos and why it is vital they are given proper care while in captivity for their emotional wellbeing. Wild Welfare works with zoos across the globe to address the issues facing wild animals kept in zoos and aquariums. In this new film, Imagine If delivers a simple message about good animal welfare and what wild animals held in captivity need to be happy and healthy. It is estimated that there are more than 2.5 million animals in zoos worldwide and Wild Welfare believes that it is every zoo’s responsibility to give the animals the proper care they deserve. The film explains the difference between good zoos, where animals can freely exhibit their normal and natural behaviours, and zoos where animals do not have the same freedom and choice, and as a result, their welfare is compromised and they can suffer. Wild Welfare’s director, Georgina Groves, said: “It’s vital to help people understand the common ground they share with wild animals, in the way they think, feel and experience. Wild Welfare has also released practical guidelines for the public alongside the film. These include reporting poor animal welfare seen is zoos and aquariums, refusing to take part in animal interactions where an animal’s welfare appears compromised and only attending shows and performances that are animal-friendly.